This is my third article in series of articles. 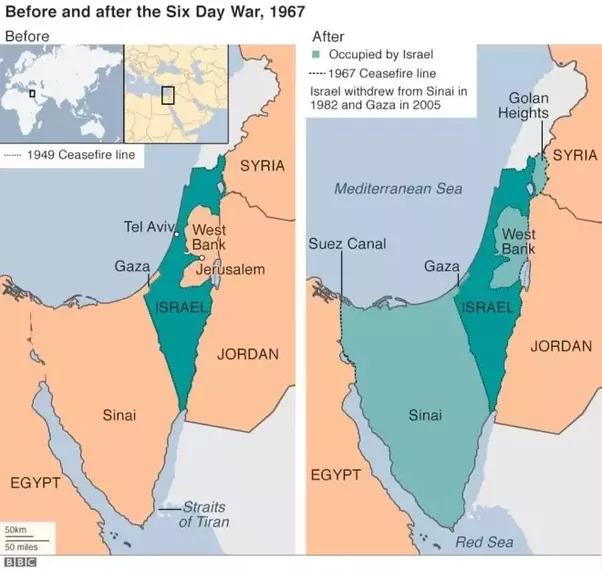 In 1967 six day war, Israel captured the Sinai Peninsula from Egypt, which was returned back to Egypt under a peace treaty (1982). In return, Egypt recognizes Israel as a state and Egypt is the first Arabic nation to recognize so. After 1967, Palestinian lands came under Israel’s occupation and Israeli Government settled a large number of Jews in West Bank. These settlements split Palestinian communities and weakened their connection. As a result, there is no possibility to form a Palestinian state in future. These settlements make life really difficult for Palestinians. Palestinians are excluded from certain Israeli-only roads and forced to go through a number of security checkpoints. 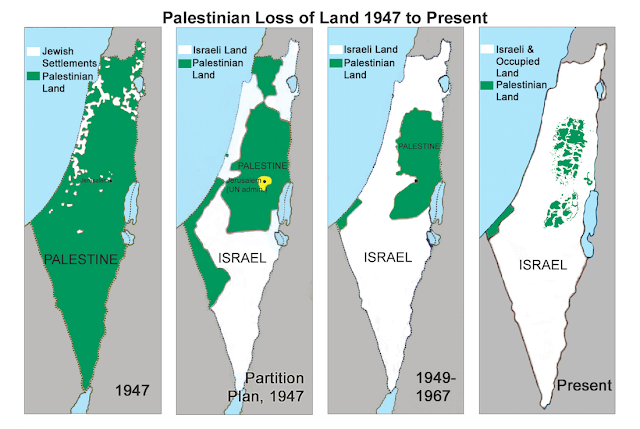 Israeli’s want this entire lands to be recognized as Israel but the world didn’t accept and even, consider the settlements are illegal. Palestinians didn’t like these encroachments, violence, and conflict erupted in West Bank. These Israeli actions give birth to new armed rivals called Hamas, an Islamic militant group fights for freedom of Palestinian with Fatah. Fatah commonly known as PLO, Palestine Liberation Organization created in 1964. This PLO and Hamas have one motive 'Liberation of Palestine' through armed struggle. 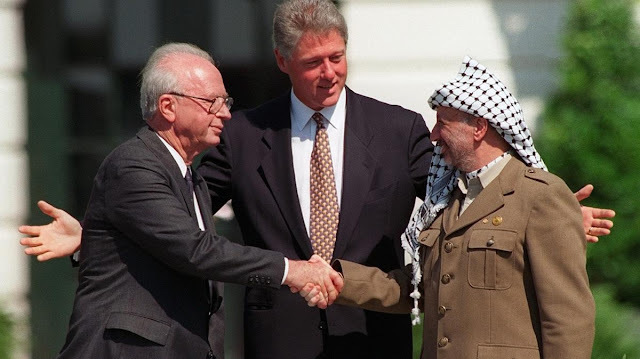 In 1993, Israel officially recognized PLO as the representative of the Palestinian people and in the same year, Oslo accords declarations were signed between Israel and PLO(Fatah) for peace and self-rule Palestinian state in both Gaza and West Bank. In 2000, declarations collapsed and violence has broken out after both sides fail to reach an agreement on Jerusalem. In September 2000, an Israeli politician intentionally provocative visit to Temple Mount, a holy place for both Muslims and Jews ignited a violent conflict between Israeli’s and Palestinians. This time Palestinian attacks centered on suicide bombings, rocket attacks, and sniper fire. The conflict ended in 2005, about 1000 Israelis and 3200 Palestinians were killed. In 2007, Hamas took control over Gaza Strip after defeating Fatah. Still, Fatah remains powerful in West Bank. In 2009, Benjamin Netanyahu is elected as prime minister of Israel. Benjamin is strictly against the formation of Palestine state, he thought if areas came under Palestine rule subsequently become Hamas stronghold. Again this will become a threat to Israel government. In 2011, Fatah and Hamas sign a reconciliation accord, citing the common cause of opposition to the Israeli occupation. After 2011 Conditions getting worse day by day. Israel's every move is to capture entire Palestine. Israel government launched many restrictions over Palestinians and even Palestinians are not allowed to walk on Israeli settlement roads if Palestinian children unknowing crosses the roads or entered into Israeli settlements, the army never showed mercy on them and they killed them. The survey shows at least 2177 Palestine Children were killed by Israel army after 2000. After Obama, Trump becomes president of America. 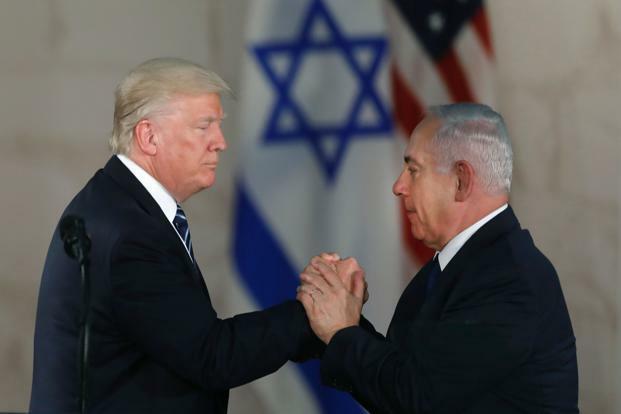 In late 2016, Trump recognized Jerusalem as the capital of Israel and moved the American embassy to Jerusalem. ‘This move will open hell to America and this is a betrayal to Arab nations’. This makes Palestinians angrier and violence broken out all over West Bank and Gaza. Israel used their army to control and now officially entire Palestinian lands came under Israel government and Arab’s are not permitted to visit their mosque in Jerusalem without permission. European countries suggesting ‘2 state solution’ to solve the conflicts. But these Israel's moves clearly shows they are not ready for 2 state solution and they want entire Palestinian land under Jewish control. These 2 articles are the brief and concise history of why Israel and Palestine fighting each other for 100 Years. 1. Economic development of Israel. 2. The military power of Israel. 3. Development in Modern Agricultural Sector. 4. Education in Israel and Palestine. 5. The holiness of Jerusalem. 7. 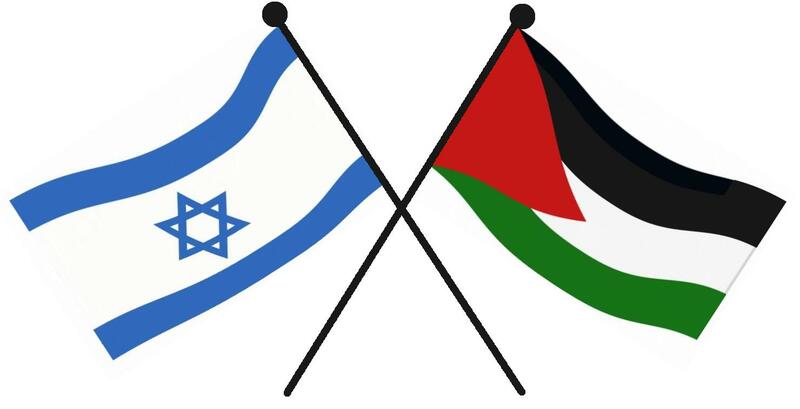 India and other nations part in the Israel-Palestinian conflict. This is my first article in series of articles - Syrian Crisis. Syria, Westernmost country in the Middle East. A secular nation with different religious groups 87% Islam (75% Sunny Muslims and 12% Shia Alawites Muslim group), 10% Christians, 3% Druze and small number of Mandeans, Jews. Bashar al-Assad, 19th and current president of Syria and he belongs to the only Political party of Syria the Baath Party most interestingly the members of this party are Alawite Shias. So, it’s like minority Shia’s ruling majority Sunny Muslims. 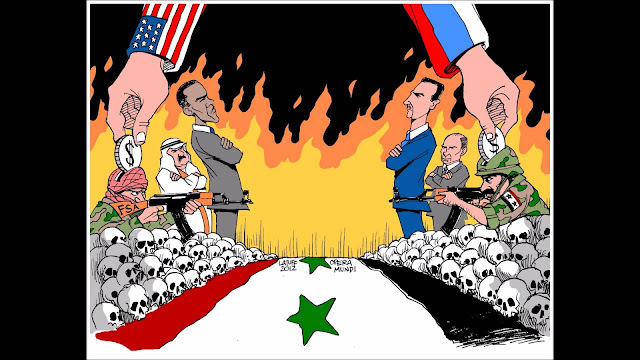 This difference is the reason behind Syrian war. Now you may be confused, why these countries support different groups in Syria? How actually Syrian war starts? In 2011, peaceful Arab minor protests started in Syria against the autocratic ruler for demanding democratic reforms. Peaceful protest becomes massive uprising after Assad uses its army and arrested important Sunny leaders. Soon these protesters become armed rebels and Syrian civil war was started. In 2012, rebels got support from different extremists groups in the world. Now Assad has to handle these extremists, also around that time Syrian Turkey groups take up weapons and succeed Syria’s north. These groups are Kurds, where more than 20 Millions of them across the northern region of Syria, but they never had own Kurdish state. So Kurds uses the unstable Assad government to construct their own state. In late 2012, Assad longtime alliance Iran supports Syria indirectly through Hezbollah Shia group. Iran entry made Saudi to support rebels, mostly Sunny rebel groups (Saudi and Iran are a long time religious rivals). Now Iran spending billions of dollars to bolster Assad and providing military advisers and subsidized weapons to stop rebels. This time Turkey and Jordan also join Saudi, to support rebels. Now the war is between Shia supported Assad regime VS sunny supported rebel groups. Civil War - War between Shia supported Assad regime VS Sunny supported rebel groups. 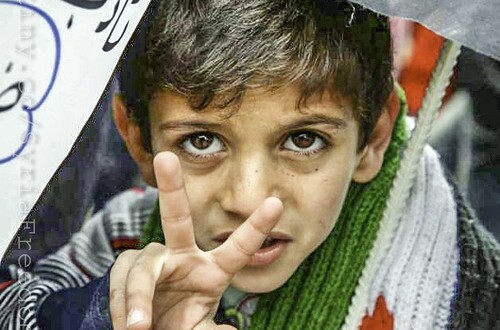 Why Iran supports Assad regime? Iran Support Assad to counterattack his regional rival Saudi Arabia. Iran wants to make Shia base strong in Syria. In 2013, America indirectly entered into war by secretly training rebels and also urges Saudi to stop funding extremists. To stop the rise of rebels Assad government uses chemical bombs in August for the first time, more than 1600 people dead. The US under Obama threatens Syria to surrender its chemical weapons to the international community to avoid Missile strike. Russia started backing Assad by launching an air campaign against Assad's opponents. After few weeks, American trained rebels joined Syrian rebels now officially America and Russia entered in the Syrian war. Cold War - Indirect war between Capitalist America and Communist Russia. Western superpowers and capitalist countries UK, France, and Italy came in with America and supports rebel groups. Assad government is supported by communist China and Russia. 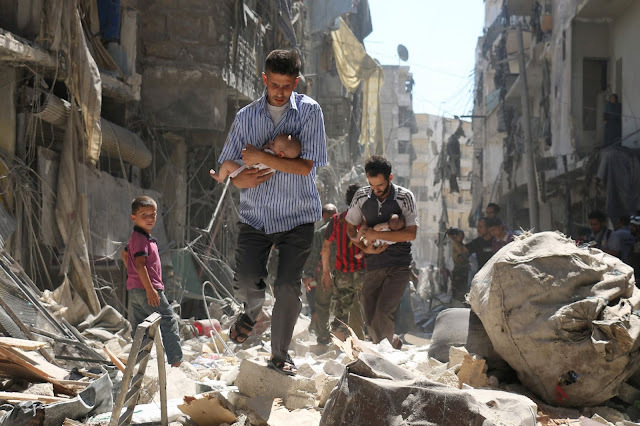 Why Russia supports Assad regime? If Assad fell, Russia would lose its foot in the Middle East. Tartous in Syria is the only Mediterranean port for Russia. In early 2014, world’s biggest threat arises ISIS Islamic State of Iraq and Syria, who proclaimed themselves as ‘Muslim Caliphate’. ISIS started to capture the northern states of Syria and Iraq by fighting against rebels and Kurds. Now ISIS has grown into biggest power in Syria’s northeast. The main aim of ISIS is to replace Assad regime by Abu Bakr al Baghdadi who called as ‘Caliph’, leader of ISIS. In September 2014, America launches its own program to train and arm 5,000 Syrian Kurdish rebels. This time America targets ISIS, not Assad. In 2015, Turkey strengthens Sunny rebel forces called Free Syrian army to fight against ISIS and Kurdish rebels. In later 2015 Russia provided weapon supports to Assad regime to fight against ISIS. Why America supports Kurdish rebels? To pull ISIS and Assad regime out of Syria. America thought ISIS as world’s problem and Assad as America’s problem. If Assad fell, Russia has no power in the Mediterranean Sea. So, America may get complete control over West. Why Turkey supports Sunny rebels? Turkey fears Kurdish autonomy in Syria would fuel separatism in Turkey. This fear makes Turkey open its attack against Kurds (These are the Kurdish forces trained by America). But the main aim of Turkey is to remove ISIS from power. Why Saudi and Jordan support Sunny rebels? Saudi Arabia and Jordan, which is keen to counter Iranian influence, has also supported extremists Sunny groups financially. Holy War - Shai and Sunny community fight. Saudi and Jordan, Sunny countries want to remove Shia Assad out of power and to make Syria, a Sunny Governed country. In early 2016, Israel enters into war against Hezbollah Shia’s. This Shia group working in favor of Assad regime. Hezbollah is suspected of carrying out attacks against Israeli positions on the borders to Syria and Lebanon. This makes Israel be part of the Syrian war, who mainly targets Hezbollah. In 2016, Trump becomes the president of America and he stays away from Syria and allows Assad government to continue. 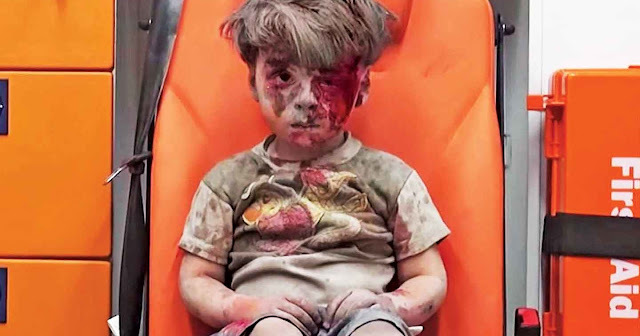 Later Assad with the help of Russia and Iran knocking the rebels out of Syria. In 2017, Russia and Assad regime again uses chemical weapons which kill nearly 100 people. Within few days of attack White House launches dozens of missiles and destroys one of the air bases in Syria and this is America’s first direct attack against Syria. Chemical weapons used by the Syrian government against Civilians provoked America to attack Assad regime directly. In early 2018, Syrian Government again uses chemical bombs against rebels, which kills more than 500 people includes women and children. Initially, Syrian government denied the attack and claimed that "the attack did not happen and video evidence for it was staged and directed by British intelligence", but later America confirmed the attack was carried by Syria against rebels. On 14 April 2018, the United States, France, and the United Kingdom carried out a series of military strikes against multiple government sites in Syria. The airstrikes were claimed to successfully destroy the chemical weapons capabilities of Syria. Now it was 7 years (2011 - 2018). As per BBC report, 353,900 people died including 106,000 civilians until March 2018. Even the figure did not include 56,900 people who were missing and presumed to be dead. More than 1.5 people left with permanent disabilities. 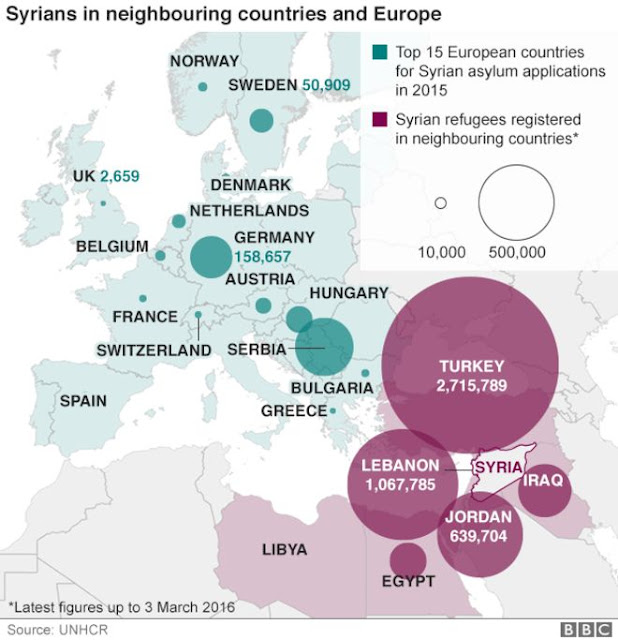 At least 6.1 million Syrians are internally displaced, while another 5.6 million have fled abroad. This is the biggest displacement in the 21st century. 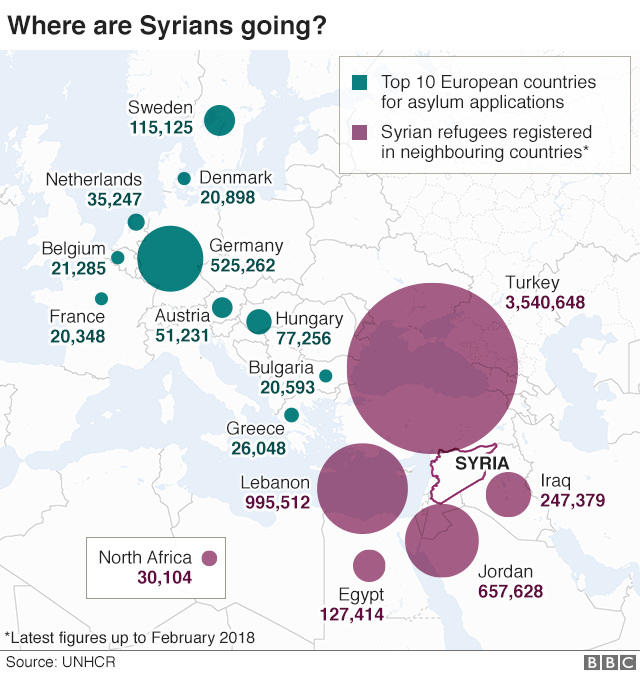 Consider to Syrian population, 53% of people uprooted from their homes. But still problem not solved or big powers are not ready to solve. 1. Assad is ready to give up his power. 2. Opposition delegates must give up their motive. 3. Russia and America should come out of the Syrian war. 4. Iran and Saudi should understand their religious difference. 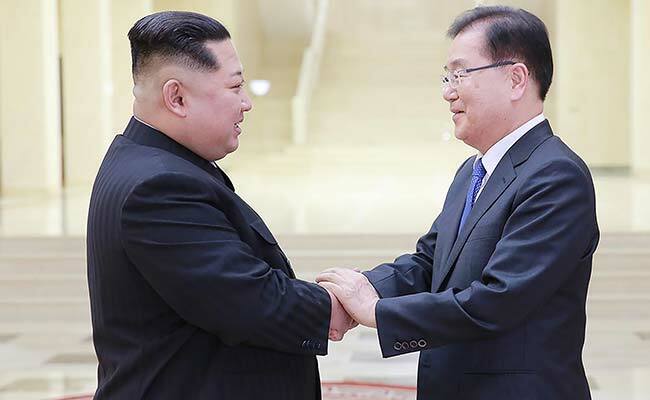 Two powerful leaders and neighbors from Korean Peninsula Kim Jong-un and moon Jae-in's handshake is called as Historic Handshake. To know why this handshake is so important we have to look back to Korean War 1950-53, a bloody conflict which kills more than 5 million people including Korean civilians, Chinese and American soldiers. The reason behind this Conflict. Korea Peninsula was under the control of Japan for 35 years, after the end of world war 2, Japan rule came to an end and Korea started to build their nation with the help of communist Russia and capitalist America. Two world powers in Korea leads to Cold War and at the end, Korea was split into two halves, Russian controlled Communist north and American controlled Capitalist south. In 1950, North Korea came up with an idea of one country and crossed the border with Soviet weapons to capture south. Here an indirect war arises between America and Russia. Eventually, communist China was dragged by Russia to support north and America bought its capitalistic friends Britain and other European nations to the south. Heavy bombs were dropped on both the sides and huge losses from both ends. 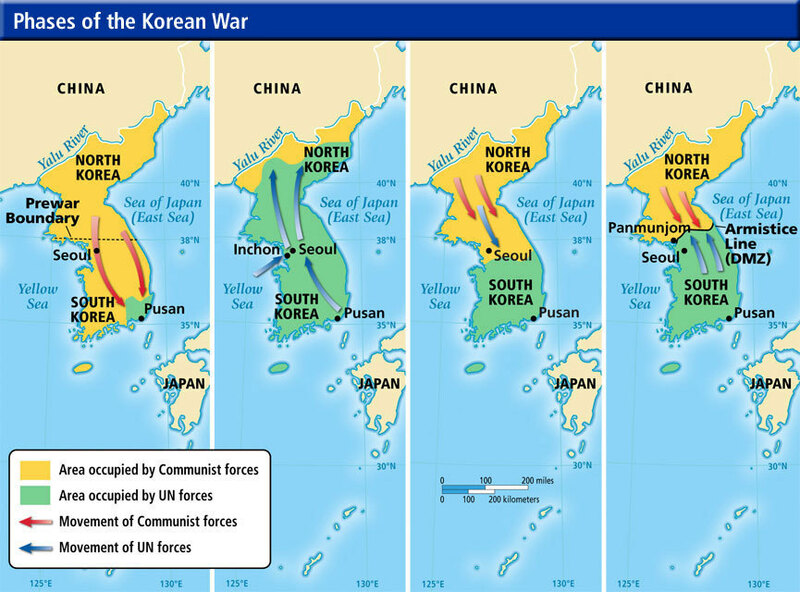 At the end of Korean War, Korea was officially divided into two halves and heavy fences and land mines for 4 kilometers separates Korea into North and South. As a result, North and South Korea was born. North Korea under the control of Russia and China declared as the democratic people’s republic of North Korea with communist principles. South under America and Japan declared as the Republic of Korea with capitalist principles. The bloody cruel war between world powers is the reason for this 65 years of separation. This is the reason why this handshake is one the important move of this decade. So, the fight between North Korea and the United States, not just a fight between Trump and Kim Jong-un. It’s a 65 years old antagonism. North Korea’s search for the nuclear weapon is not this decades Problem, it was started in the year 1963. With the help of Russia, North Korea started nuclear energy programs and constructed Yongbyon Nuclear Scientific Research Centre. Initially, they were building research reactors and other small nuclear tests. During 1980 they started their research towards nuclear weapons and conducted high explosive detonation tests. In 1985, North Korea signed nuclear non-Proliferation treaty after Russia’s compulsion. The motivation of that treaty is to stop producing nuclear weapons. In 1993, North Korea was accused by International Atomic Energy Agency for violating the treaty after they fired a ballistic missile into the Sea of Japan. In 1994, the US and North Korea agreed on a framework to freeze all its nuclear programs but this agreement collapsed in 2002 after North Korea was accused of accessing Pakistan’s nuclear technology. In 2006, North Korea successfully conducted its first nuclear test as a result the US unanimously imposed trade, travel and other sanctions as punishment over North Korea's move. In 2007, North Korea shut down Yongbyon nuclear reactor and IAEC inspectors confirmed this. After this conformations sanctions passed against North Korea were removed. Still, North Korea didn’t stop its research, in 2009 an earthquake occurred in a nuclear test site and America confirmed this as unnatural quake. North Korea news agency gave a press release as a second nuclear test was conducted successfully. And in the same year, Kim Jong-un was elected as the Supreme power of North Korea. After Kim Jong-un elected as Supreme power, things getting more complicated. All the leaders of North Korea had one goal to make a weapon to reach America. 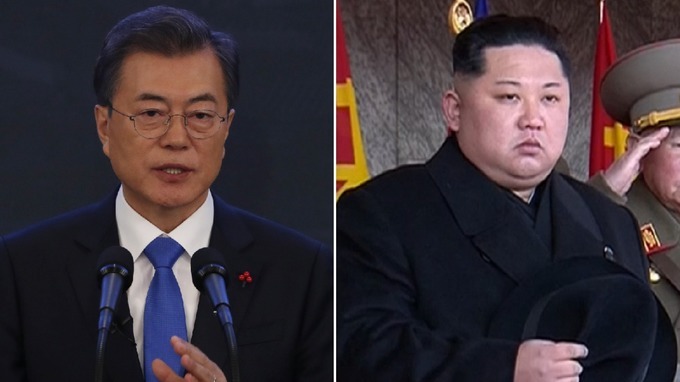 One specialty with Kim Jong-un compared to other leaders is Perseverance and whatever or whoever threat, he never stops until he reaches the goal. In Feb - 2012, North Korea announced that it will suspend all its nuclear test and it also allows IAEA inspectors to monitor the test sites. America called this move as “important, if limited”. But North Korea broke the trust within 2 months by conducting the long-missile test in April - 2012. In 2013, North Korea conducted its third nuclear test successfully and all nations came to know this after United Nations geological survey detected a seismic disturbance of 5.1 magnitude nearby test sites in North Korea. In 2016, again an earthquake was detected and the reason behind this shocked all the nations. This time the test was conducted with the hydrogen bomb, a fission blast. North Korea confirmed this test officially as their Fourth underground nuclear test. In 2017, North Korea successfully test its long-range intercontinental ballistic missile. Now the quake is not in North Korea, it’s in all developed and developing counties. This final move of North Korea spurred Trumps administration. “All options are on the table”. Kim Jong-un not at all bothered these words. How this twist happened all of a sudden. Is this due to economic sanctions imposed against North Korea by other countries or a new strategy by Kim Jong-un. North Korea is not the wealthiest country, it was a poor and primitive one. They can’t sustain without the help of world’s big powers. 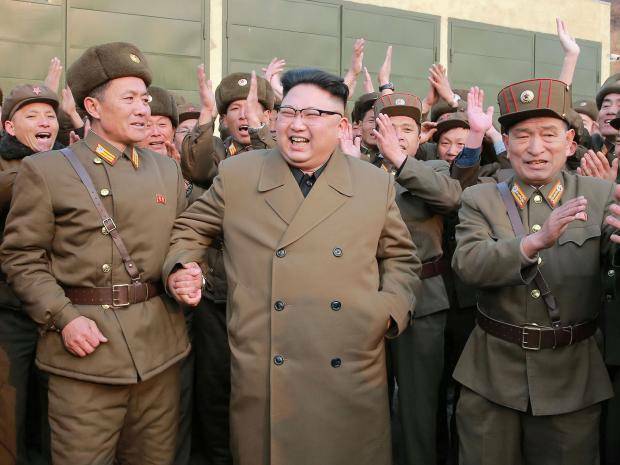 Those big powers imposed economic sanctions desperately to stop Kim Jong-un. 89% reduction of petroleum products going into North Korea. Expelling all North Korean workers, who are working in aboard back to North Korea in 24 months. Banning all the exports from North Korea. China stops all forms of trade with North Korea. (83% of North Korean exports are with China). If this situation continues people of North Korea may die due to Hungry and famine. Obviously, it ends up with revolutions. Then Kim Jong-un has the chance to lose his power. So he started to express his charming side to the world by meeting Chinese president, South Korean President, the American president and Denuclearisation of the Korean Peninsula. This is how Historic Handshake was scripted. But this is not the END. This is a great political strategy to hold power and he will bounce back once his nation is economically stable. Here I explain Kim Jong-un's strategy in 3 simple points. 1. 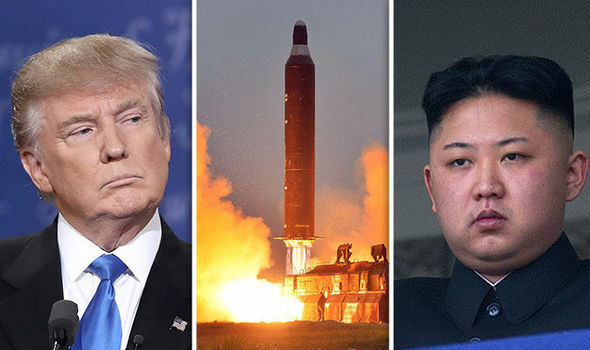 Starting a crisis, with missiles by telling the world that North Korea is ready for war against America. This tension keeps entire world in fear. As a result, strong economic sanctions were imposed on North Korea by all countries. Now North Korea has their weapon to reach America’s mainland, But no food for people. 2. So now he achieved the goal in weapon technology. But he had to feed his people, so he started to suggest negotiations and 2 months later joined Olympics and turned the clock. Now North Korea need cash to survive, so he started to travel China, South Korea, America, etc. 3. But this not going to be an end of 65 years Korean War. North Korea not going to give up this much easier. But now Kim become a hero, he got the weapon to reach America and food to feed his people. Karnataka goes to polls on May 12 and the counting of votes will take place on May 15. 3 parties fighting harder to win - the Indian National Congress (INC), the Bharatiya Janata Party (BJP) and the Janata Dal (Secular). Speculations are already started who would emerge victorious in this battle of Karnataka 2018. Will Congress protect one of the last states in Country? Will BJP add another state and make the count as 22? 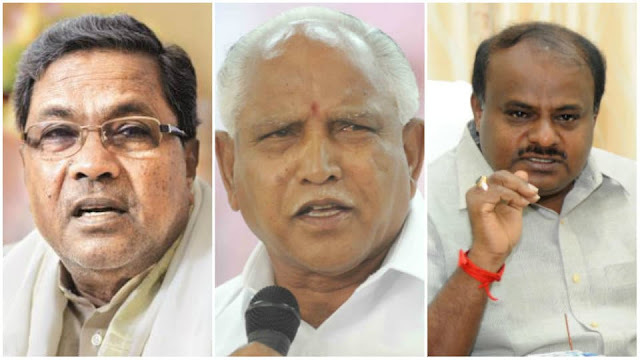 Will JDS be a King or a King Maker? 3 different polling reports in our hands - Times Now, Jain University and NTV-NG Mindframe survey. Here we see what the seat count these 3 reports give for Parties. Congress with Siddaramaiah as CM candidate will get an average of 93 seats out of 224, which is 29 seats less than 2013 Assembly elections. This difference is due to anti-incumbency in the state, not a single Assembly election in Karnataka since 1985 has returned the incumbent ruling party to power. The 1985 election saw the return of Janata Party’s Ramakrishna Hegde as the chief minister for the second time is the last. BJP with B.S.Yeddyurappa as CM candidate will get an average of 87 seats out of 224, which is 47 seats more than Assembly election 2013. In 2011, Yeddyurappa removed from BJP party after he was accused of illegal mining case, then Yeddyurappa formed a new party KJP and contested the 2013 election and won only 6 seats. Later he joined BJP after all the cases in his name were withdrawn and also Yeddyurappa from Lingayat Community, one of the biggest community in the state. JDS with H.D.Kumaraswamy as CM candidate will get an average of 38 seats out of 224, which is 2 seats less than 2013 Assembly polls. Lingayats and SC/ST community hold the top positions in deciding CM for Karnataka. Vokkaliga caste strength increases the vote bank of JDS by 11% compared to previous elections. Separate and minority community status for Lingayat is the reason behind this huge vote shift. Vokkaliga community affected strongly if Lingayat is recognized as a Minority community, Deve Gowda and H.D.Kumarswamy playing this community difference as a trump card to attract Vokkaliga voters. A slight increase in Vote Percentage for Congress in Muslim majority areas (4% increases), this will affect the JDS vote share of 11% in previous elections. Siddaramaih trying to portray Saffron Party as anti-Muslim Party and this vote shift show he successfully did that. Emerging SC/ST and Dalit movements all over the country led by Prakash Ambedkar and Jignesh Mevani against ruling BJP makes an impact in Karnataka with a slight decrease in Vote share for BJP of 3% Votes. Even this vote difference does not benefit Congress. This will Benefit JDS (BSP, Mayawati effect). A major move by Siddaramaih, separate minority status for Lingayat community. As per the reports, this move worked well towards Congress. Even BJP gaining the vote share of 6% in Lingayat belt is not a loss to Congress, it’s a loss to JDS. Congress maintained their Vote shares in Lingayat belt by handled Lingayat Problem at last minute of the election. Siddaramaiah – 33 % Holds the first position. He is the only CM after 40 years to survive the entire 5-year term in Karnataka (2013 – 2018), this shows his ability to run the government. Karnataka Elections going to be a close contest and still now it looks like no party will get a majority to form Government. JDS won't be in the contest for CM post, but they are going to do the role of King Maker. And most importantly BJP's master batsman not yet Came for Campaigning. Even all the parties are waiting for Modi's arrival. I think no one will forget what happens in Gujarat last year, last 2 days of Modi's campaign turned the clock and give the win to BJP. So, we had to wait until May 15th to know whether Congress has any hope to contest 2019 General Elections. Since March 27 - The cumulative seize stands at 115,90,81,235.56! Readers, now you got the answer to the Question Who holds the KEY?